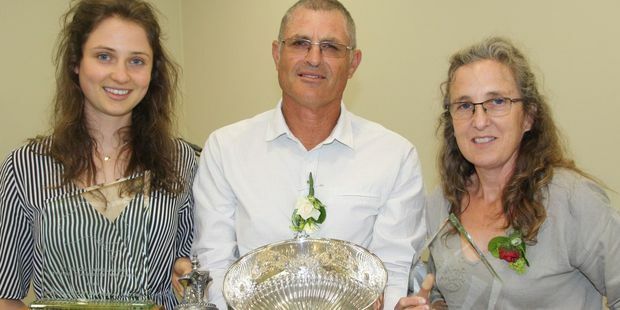 Rob Somerfield is acknowledged as probably New Zealand's leading rose breeder, second only to Dr Sam McGredy, the moving force behind establishing the annual Pacific Rose Bowl Festival at Rogers Rose Garden in Hamilton Gardens. Rob describes what he does as the best job in the world, and in his 35 years as a breeder he has won much praise, and many awards and trophies for the flowers he creates at the nursery — Glenavon Roses — he and his wife Linda established at Te Puna near Tauranga. Some awards he has won multiple times, including the New Zealand Rose of Year title he won on Sunday for the fifth time with a coral pink beauty called Little Miss Perfect. One award he loves winning more than most others is the Children's Choice Award at the Pacific Rose Festival in Hamilton. He won it again this year with Strawberry Blonde — a rose with golden apricot blooms. 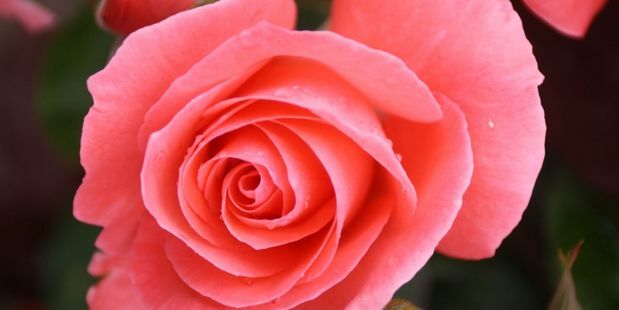 Like all the categories in the New Zealand Rose of the Year Trials, the Children's Choice is decided by votes from the public — including school groups — who come to see the more than 80 different roses at the Rogers Rose Garden. "The Children's Choice is an important award," says Rob. The children "like what they like" and they are the rose growers — and buyers — of the future, he says. "In fact, these rose trials are most important to us as breeders because the winners are decided by public votes. "It does mean that people are buying, planting — and enjoying roses," Rob says. In Hamilton on Sunday, Strawberry Blonde also won the Best New Zealand Raised Rose title and his Rose of the Year — Little Miss Perfect — was also named Best Floribunda Rose. Rob days Strawberry Blonde is named after his wife Linda's nana in England. "I never met her. She passed away before I was able to. "My wife said her hair colour used to be strawberry blonde and I thought that sounds like it should be the name of a new rose," says Rob. Officially the New Zealand Rose Society describes Strawberry Blonde as "a floribunda with masses of golden apricot blooms that soften with age. It has good scent and like other Somerfield varieties, it has a great habit, medium in growth with a slightly spreading habit. The dark green foliage is very healthy. It is a welcome addition to the apricot shades." Little Miss Perfect is "a low growing floribunda with masses of coral pink blooms that smother the bush. Little scent. Very compact grower so ideal for pots and smaller gardens. Healthy with dark green foliage." All of this year's winners and all the other entries — a total of 82 roses — are still looking great at the Rogers Rose Gardens and are well worth a visit. Entry is free. New Zealand Rose of the Year: (The Pacific Rose Bowl — The Sam McGredy Perpetual Challenge Trophy) Little Miss Perfect — Somgle7. Bred by Rob Somerfield (New Zealand). Entered by Glenavon Roses. Best New Zealand Raised Rose: (The Sam McGredy Perpetual Challenge Award for Excellence in Roses) Strawberry Blonde — Somnanmar. Bred by Rob Somerfield (New Zealand). Entered by Glenavon Roses. Best Hybrid Tea Rose: (Rose Hills Perpetual Challenge Bowl) Hi Ho Silver — Athysumo. Bred by Mike Athy (New Zealand). Entered by DNS. Best Climbing Rose: (Peter Sergel Director of Hamilton Gardens Award) Lady of Shallot — Ausnyson. Bred by Austin (England). Entered by Tasman Bay Roses. Best Floribunda Rose: (City of Adelaide Trial Garden Award) Little Miss Perfect — Somgle7. Bred by Rob Somerfield (New Zealand). Entered by Glenavon Roses. Most Fragrant Rose: (Gifu Prefectual Governor's Award) Hi Ho Silver — Athysumo. Bred by Mike Athy (New Zealand). Entered by DNS. Children's Choice Award: Strawberry Blonde — Somnanmar. Bred by Rob Somerfield (New Zealand). Entered by Glenavon Roses. Best Shrub Rose: (Gerard Williams Memorial Award) Rhapsody in Blue — Frantasia. Bred by Cowlishaw (England) Entered by Tasman Bay Roses.